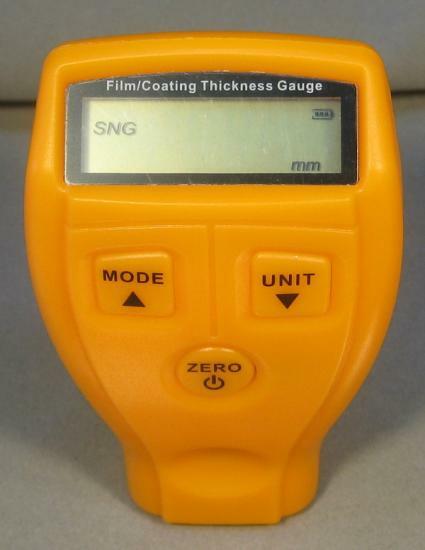 I bought "GM200 LCD Digital Car Auto Paint Coating Thickness Probe Tester Gauge Meter" by the time it arrived the listing had changed to "Car Auto Painting Thickness Tester Paint Meter Coating LCD Digital Measure Gauge". 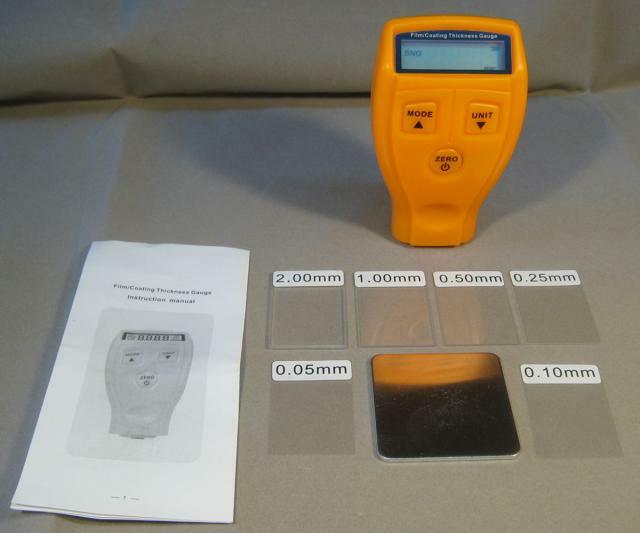 Measuring Range: 0~1.80mm/0~71.0 mil nonmetal coating. It comes with a piece of aluminium and some plastic slides of various thicknesses. It gives reasonable values for the plastic slides when placed on the aluminium. Taking the back off reveals that the sensor is a coil. 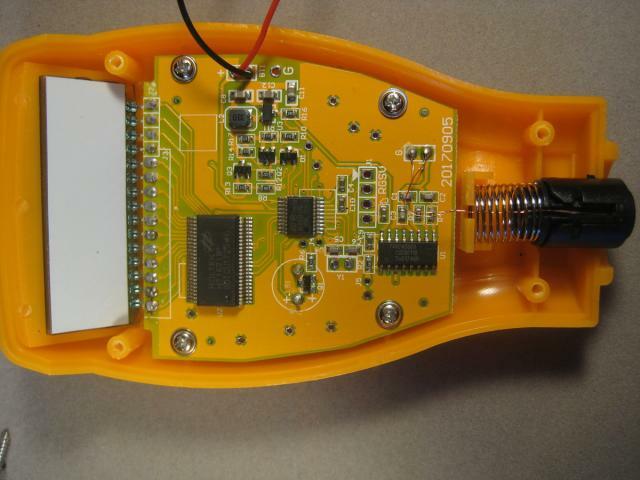 The operating principle is that of a metal detector, akin to a inductive proximity sensor. I was expecting it to use ultrasonic technology. 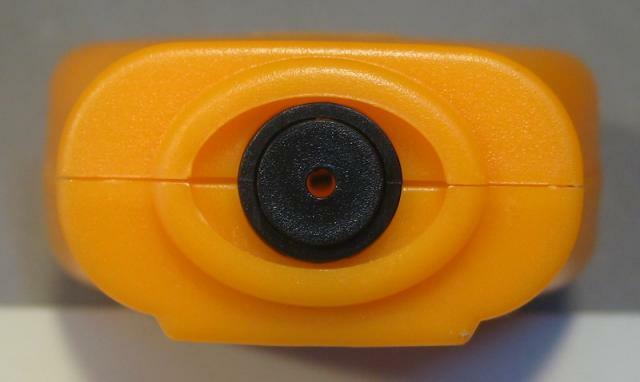 In photo 3, the sensor coil is sandwiched between black plastic on the right. 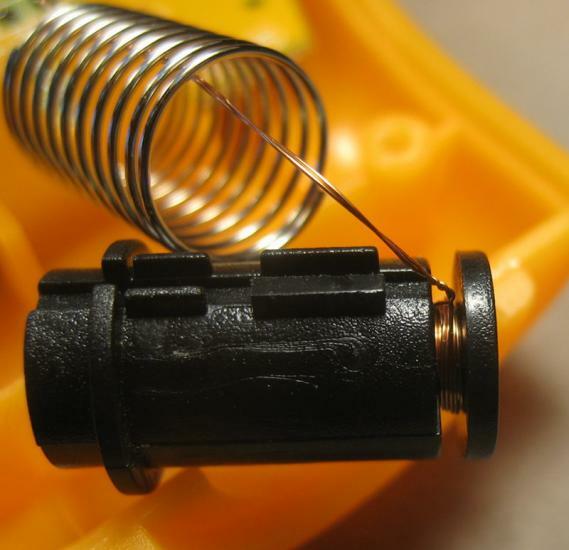 The big spring at the top of the photo is part of a purely mechanical mechanism which encourages the user to push the device firmly against a surface - the black "button" is spring loaded. After clicking these photos you can then "click for high res version" to see more detail. The ic nearest the bottom is a 74HC4060 "14-stage binary ripple counter with oscillator", the scope photo shows the Q3 output (1V x 200 ns). 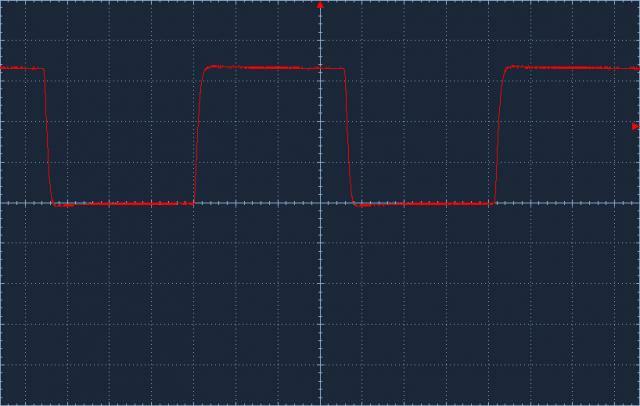 This is about 700 KHz from which the oscillator can be assumed to be going eight times as fast (2 to the power 3) or 5.6 MHz. 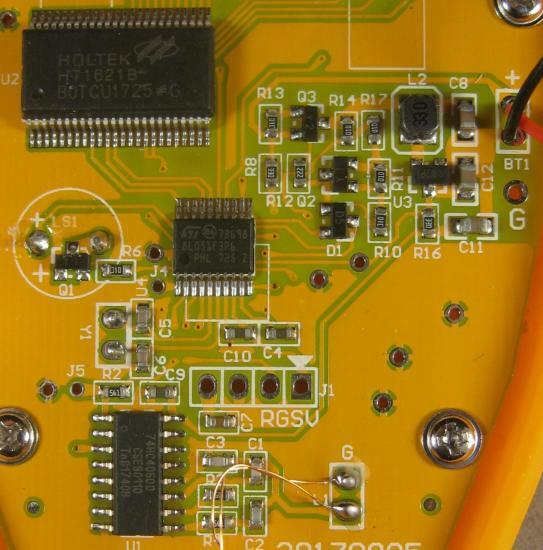 The chip at the top is a Holtek HT1621 LCD controller. The one in the middle an STM8L051F3P6 STM 8-bit microcontroller. 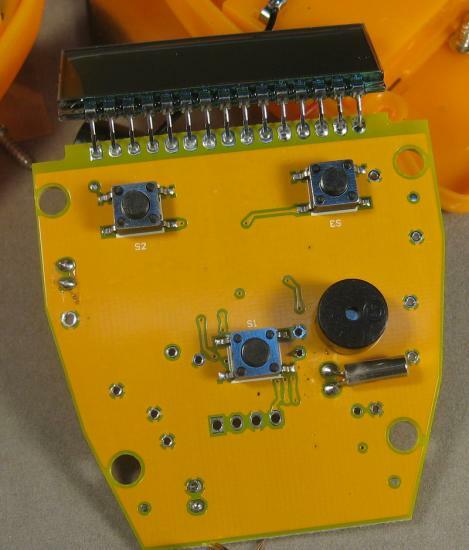 At the top right there seems to be a switch mode power circuit built from a 3 pin ic, two transistors and a diode. The ic bears the legend "DW2P1", I've not been able to find what this is.